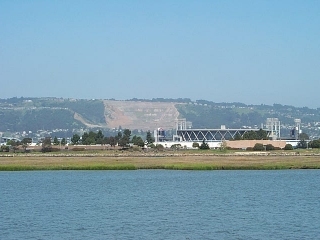 Merritt College is a two-year community college located in the Oakland Hills. The present campus was opened in 1971. The campus has 125 acres. Some of this acreage and the acreage surrounding the campus is oak woodland. To the west are some well known vernal pools with a variety of fauna. Many insects can be seen in the garden maintained by the college's Horticulture Department, as well as in the foliage on the campus and the oak woodlands that surround it. In February 2017, as a class project, a project was started on iNaturalist (http://www.inaturalist.org/projects/merritt-college-biodiversity). 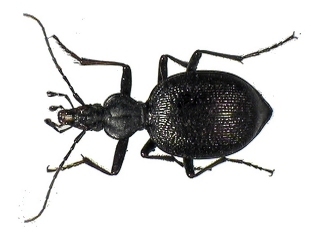 The project hosts taxa observations for all of Merritt College, but is expected to host hundreds of insect observations from around the campus. Findings from this project may become part of an evolving Insects of the San Francisco Bay Area field guide. The Merritt College portion of the guide can be downloaded at the link that follows. iNaturalist is a citizen science app that uses crowdsourcing technology to pull together and serve observations about organisms all over the world. 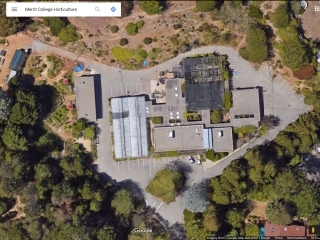 The ISFBA project uses iNaturalist to organize, view and interact with observations at Merritt College and throughout the Bay Area. Insects of the San Francisco Bay Area observations are organized into a project that can be queried, downloaded or formatted into a field guide. Be sure to view the videos. Look under the iNat logo at the left. In addition to iNaturalist, the ISFBA Survey requests that photographs be uploaded to the ISFBA Dropbox account. Photos need to be *unedited* original photos that include the photography location in the filename. Photographs uploaded using the link below become a part of this website. 2001 & 2002 Informal Photography by Alan Ball. These photos appear here, only - and not on the iNaturalist project. February 5, 2017 (Plant & Tree Observations) Plants and trees in the area just outside the gate of the Landscape and Horticulture Department were observed and photographed. February 9, 2017 (Existing Observations) Added 235 observations by 6 other observers. Observations were on iNat, already. None of the existing iNat photos were added to the ISMC project page. April 25, 2017 (Vernal Pool Area Observations) Insects, plants and trees in the vernal pool area. The vernal pools are west of the campus southern parking lots. April 30, 2017 (Self Reliant House Hillside Slope) Added 101 new observations of plants, wildflowers and insects. May 2, 2017 (Landscape and Horticulture Department Insect Survey) Landscape and Horticulture Department, south to the vernal pools and north to Campus Drive. The LANHRT 211 (Beneficial Beasties in the Landscape) class conducted a photographic and specimen collection. Students receive class credit for posts here. Specimens will be used to create a beneficial insects collection.